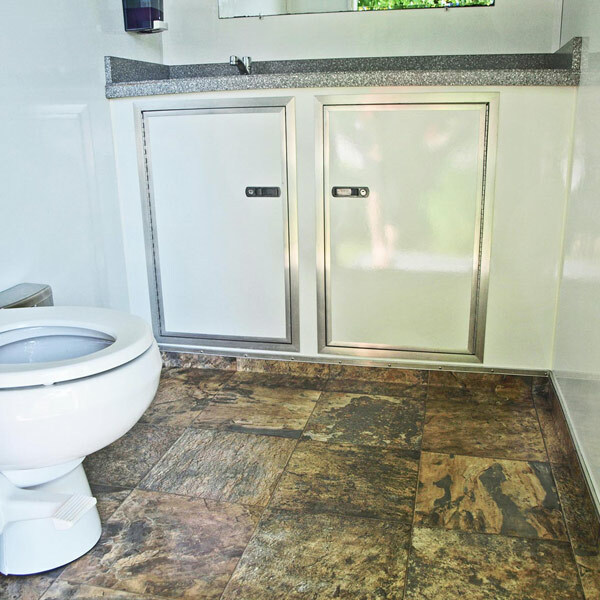 This Comfort Elite 3 Restroom trailer is a used luxury restroom trailer for sale that features a 16’ trailer (box length) and three separate suites that each has their own entrance. There are two women’s suites and one men’s suite. Each suite features a flushing china toilet, vanity with sink, metered facet, large mirror, trash receptacle, and occupancy lighting. 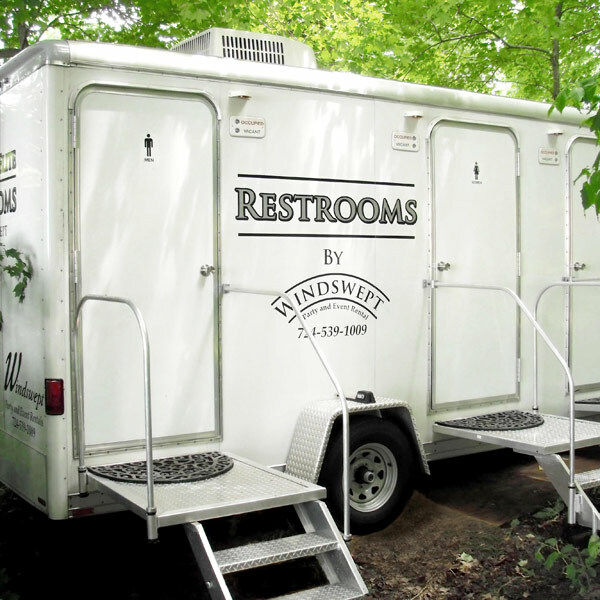 The men’s suite also includes a urinal.